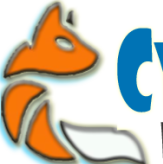 Cyber Fox Technology Provides Ethical Hacking & Cyber Security Training to all Students. Cyber Fox Technology conducts classes in Cyber Security and Ethical Hacking. It is located in Greater Noida, Noida. It takes Regular Classes- at the Institute.